The Career Development Center offers resources and support for students who are searching for job and internship opportunities; it also offers a Co-op Program that allows students to gain real-world experience while pursuing their degrees. Students can use ePACK to search and apply for job opportunities and internships. The Engineering Career Fair is also a great opportunity for students to meet with prospective employers and learn about the participating companies. The Office of Undergraduate Research works to provide students with mentored research opportunities that will enhance their creativity and promote inquiry and discovery. Research opportunities can be found at the NSF Research Experiences for Undergraduates (REU) information site. Other opportunities can be found at the Engineering Centers and Institutes page. Engineering Student Organizations range from greek life to national institutes and societies for engineering-related fields. 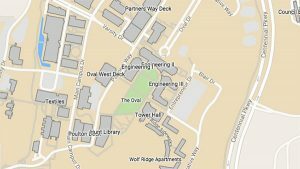 University Housing offers many service opportunities for undergraduate students through the Engineering Village, the WISE Village, and the Albright Entrepreneurs Village.